In the 30's Sam Sonin operated the West End Theater. Sam and his family lived behind the theater at 47 Vermont St. Mrs. Sonin took tickets at the ticket booth and the movies were only open during the summer months, with matinees shown only when it rained ! When it rained, Sam had someone drive his old Nash sedan thru the West Ends streets ringing a bell which was mounted on the front of the car. There was a sign on the roof that said "Matinee Today". As kids, Sam had us deliver circulars of the week's movies and in return you were paid with one week's free admittance to the shows. The Sinitar Family along with Sy Frank took over the theater sometime around 1948 or 1949 as I recall. 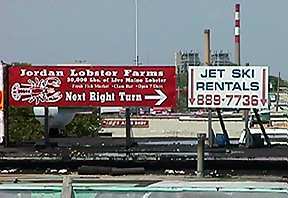 Sam Sinitar owned the Lido Laundry, previously known as the Long Beach Laundry on Long Beach Blvd. near the bridge. Sid Sinitar and Sy redecorated the theater and added heat, which the old building bought from Camp Upton didn't have. Now heated, they were able to keep the theater open through the winter months. 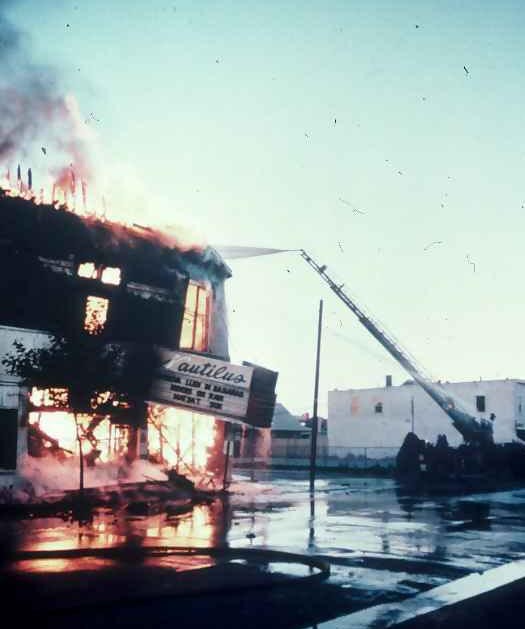 The Nautilus Theatre stood at the corner of Tennessee Ave. and W. Beech St. until it was destroyed by fire on October 12, 1971. 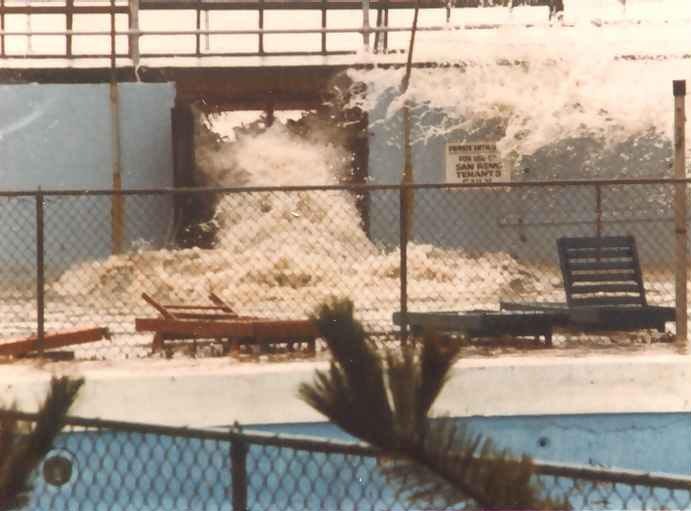 This is a shot of the ocean coming over and through the boardwalk at the San Remo on Monroe Blvd. 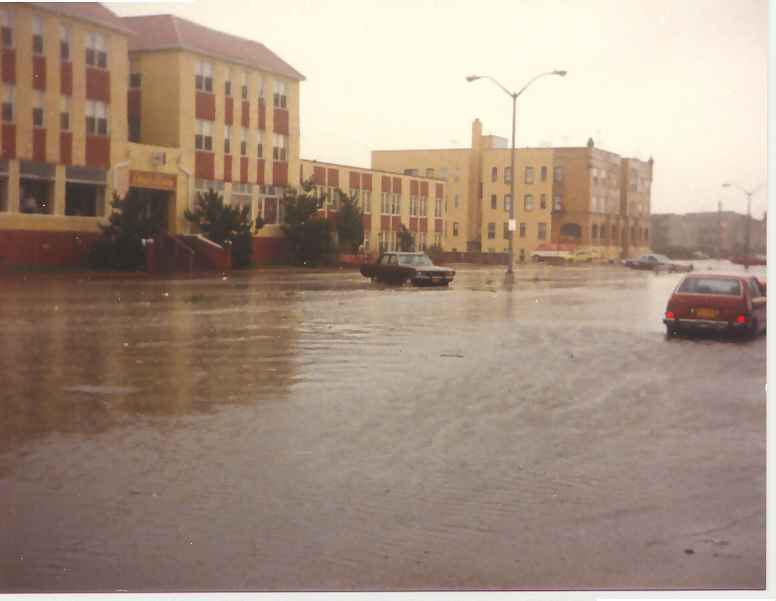 during Hurricane Gloria. The doors were bolted shut when the ocean crashed through them. Photo by Phil Kesch, former manager of the San Remo. Shine's on St. Patrick's Day. 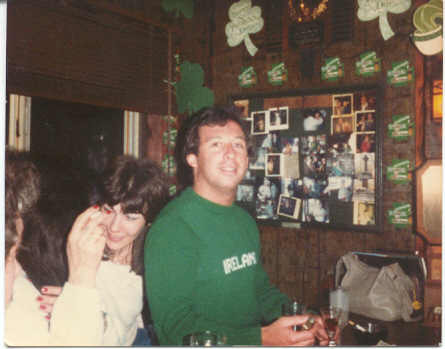 Pictured is Richie Delury, former owner . 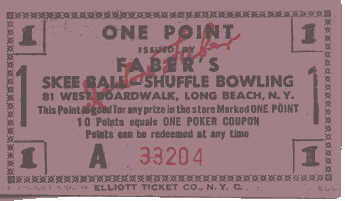 Long Beach Bowl after the first strike of the wrecking ball. 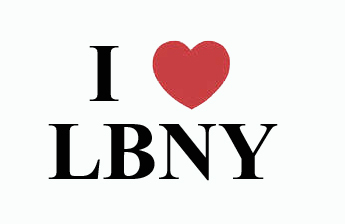 One more landmark gone forever. Some more shots of the aftermath of Hurricane Gloria. 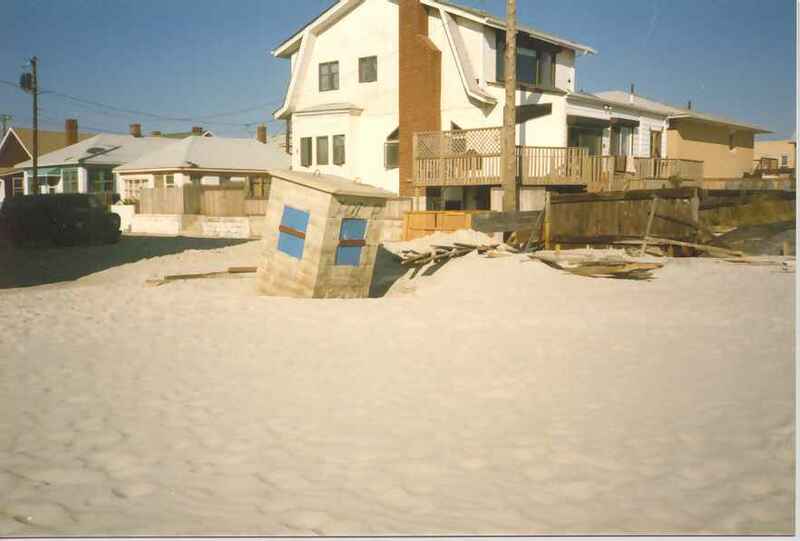 A West End beach shot on the left which was the home owned by the Gold family. It was Minnesota and the beach. 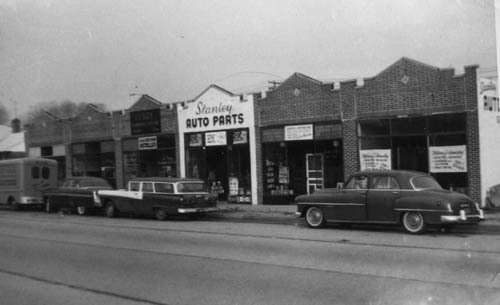 They owned a summer day camp on Tennessee and the beach in the sixties, and West Broadway on the right. Photos by Robin Stein. West End info provided by Stephen Brockman. 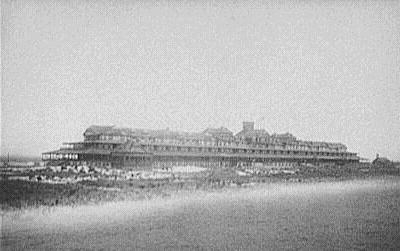 The Long Beach Hotel in 1902. 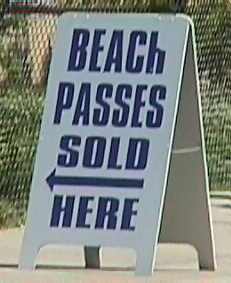 One of the reasons Long Beach became a famous beach resort. Like many other landmarks it was destroyed by fire on July 29,1907. 800 people escaped, there were 5 injuries and no fatalities. Click the image for more info ! 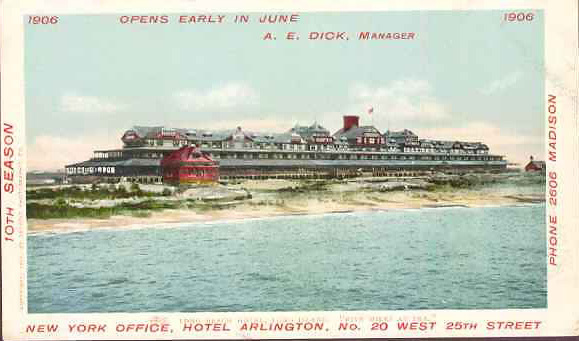 A 1906 advertising postcard for the Long Beach Hotel. It reads "10th Season", little did they know it would be the last full season before being destroyed in 1907. The small building almost out of the picture on the right is the First Congregational Church of Long Beach, also destroyed in the fire. 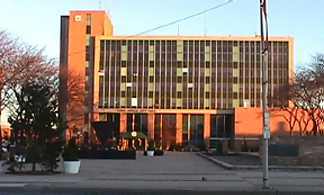 The new and the old City Hall. Roll your mouse over the photo to see the old structure. 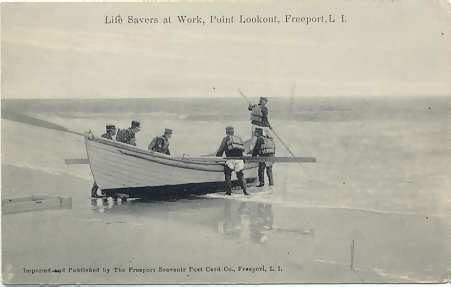 The U.S Lifesaving Service crew from the Point Lookout station launching their surf boat in 1909. Apparently Point Lookout was considered part of Freeport back then. 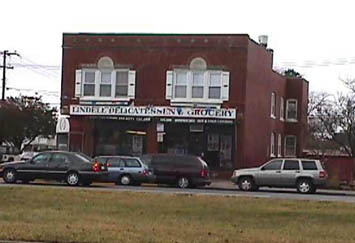 The Lindell Deli in 2000. Photo submitted by Sam Schwarzman. 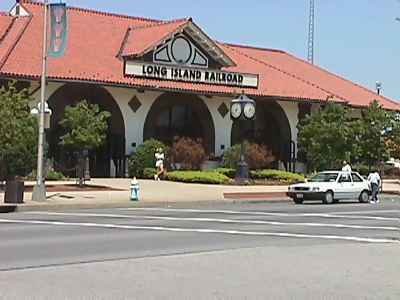 The LIRR Station as it appears today. The original theater was called the West End Movie and was owned by my cousin, Sid Sinitar and his partner, Sy Frank. The building originally came from Camp Upton in Yaphank. After World War I the camp was dismantled and the buildings sold at auction in August of 1921. The theater was actually a barracks t the camp. The theater was opened by someone named "Sonim" originally. The next owner was someone named "Petrey" and my cousin and Sy Frank bought it from him. Eventually it was sold to Irwin Knohl and he renamed it the Nautilus. My cousin Sid's dad was Sam Sinitar (I am named after him), he was the founder of the old Lido Laundry , it was located at the foot of the old Long Beach Bridge. The West End Movie had some stores attached to it, one was a coffee shop named Lenny's and was owned by Lenny Beck. Lenny Beck later opened Lenny's Steak House. Sid Sinitar and Sy Frank would only open the movie on weekends and on rainy days. One would run the movie, the other would pick you up in his car for the price of admission. They were on a shoe string budget and held down full time jobs. 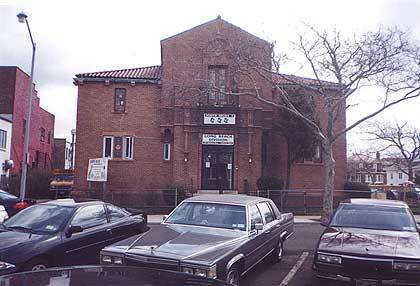 From that ambitious beginning, they formed Town and Country Theaters and owned many Long Island Movies, most of them now long gone, among them were: The Glen Cove, The Town (in Glen Cove), the Wantagh, The Hewlett, The 86th Street East (NYC), The Hicksville Multi Theater, and until last year, the Elwood in East Northport. They are both now (mostly) retired, Sid lives in Lido and Sy in Florida. Remember these? I had thousands of them and now all I have is this one! which is now a YMHA.